If lemon meringue is the poodle of pies, this one is the scraggly mutt that you didn't plan on getting. It might look rough around the edges, but that's half the charm. 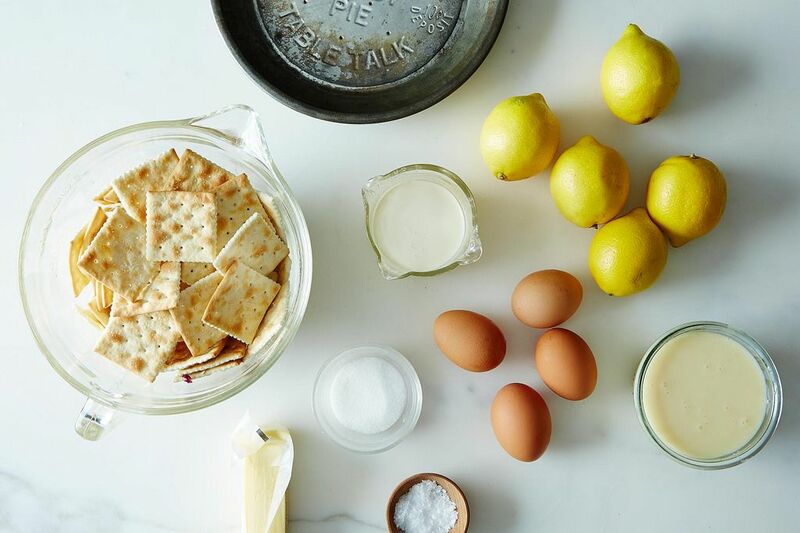 The crust is saltine crackers you mash with your hands; its tart custard belly is only three ingredients (sweetened condensed milk, egg yolks, lemon or lime juice). Just before serving it in cold slices, you'll blob on some unsweetened whipped cream and scatter it with sea salt. 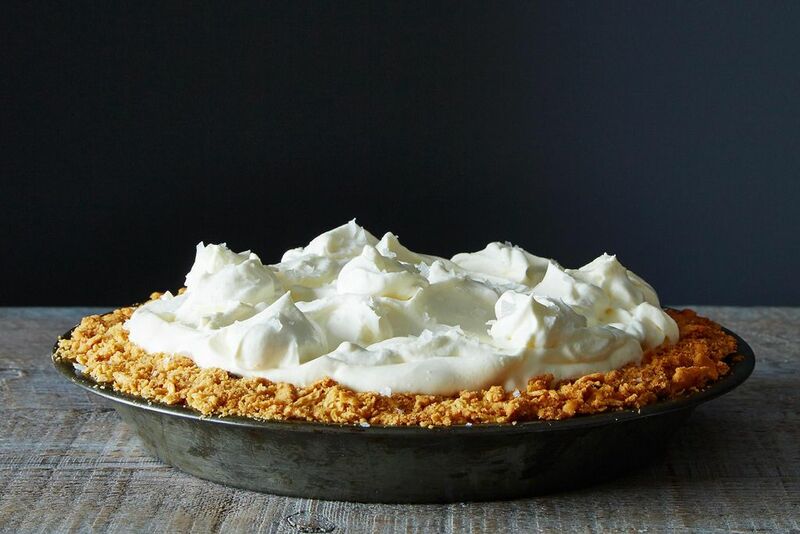 This isn't just a lazy path to pie; it's a good one. The pale comfort of saltines turns into a flaky, toasted shell (that holds together much better than you'd think), once you crunch it all up with butter and sugar and par-bake it. Unlike graham crackers, which seem designed to crumble into fine-grained crust, saltines stay true to themselves, jagged and crisp. 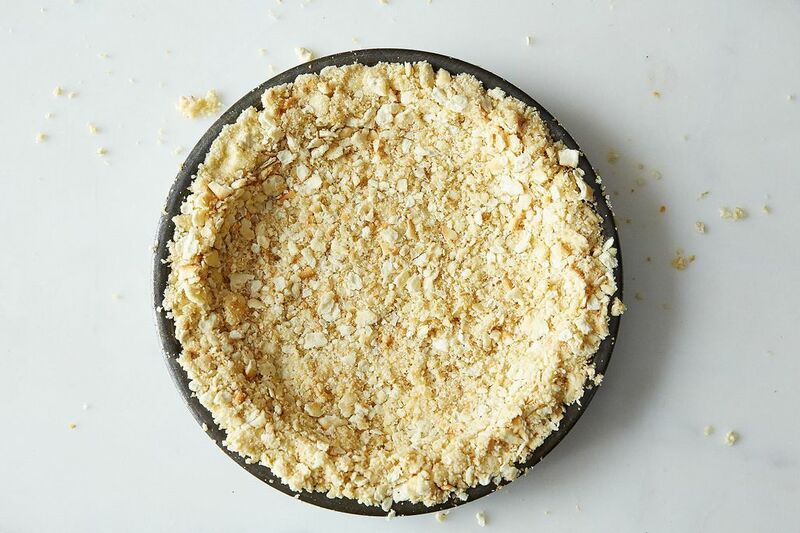 More: Tote all your pies safely with our bigger, better PieBox in the Food52 Shop. 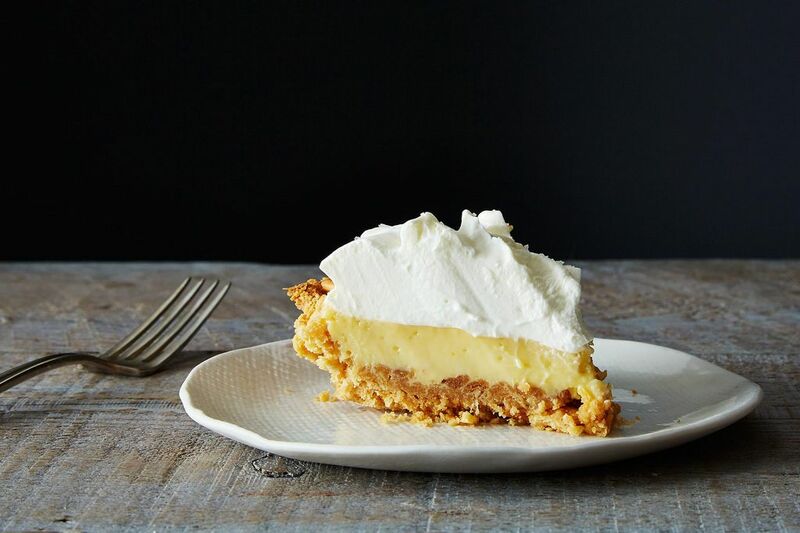 Each bite of pie has the sweet rush of a lemon bar, cooled with thick cream and flanked by salt and crunch. Every flavor and texture is dialed up to eleven, which somehow keeps them all in check. It tastes of summer and the beach—like salt-rimmed margaritas and ice cream cones, sea and sun. More: Wondering what to do with those extra sleeves of saltines? 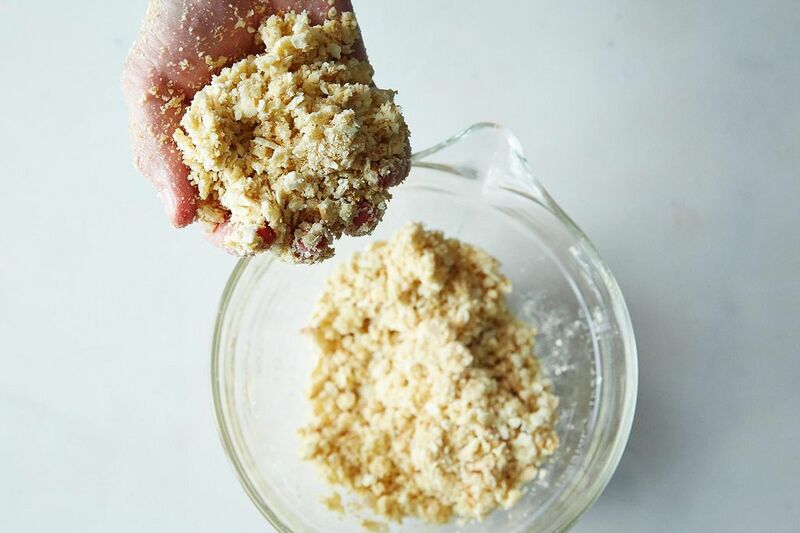 Serve them with Edna Lewis' sherried fresh shrimp paste. Bill Smith, chef at Crook's Corner in Chapel Hill, N.C., came up with this recipe after he was asked to host a Southern Foodways Alliance Summer Symposium in his native Eastern North Carolina. 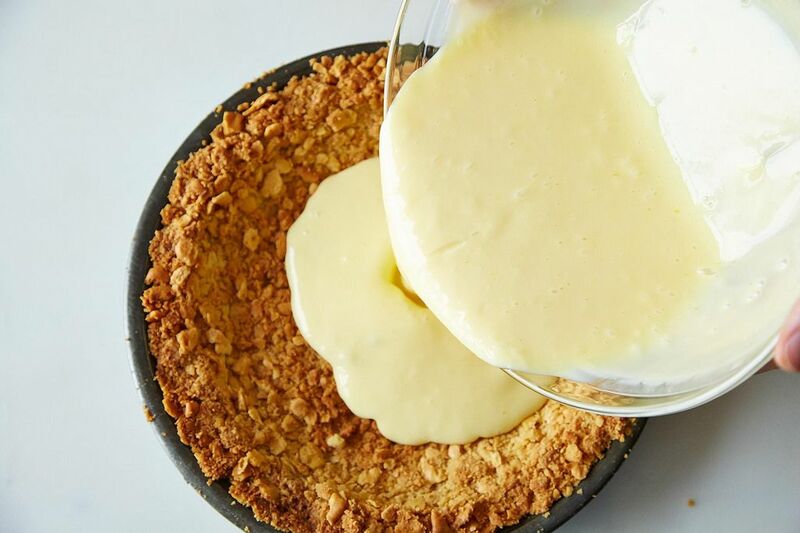 He remembered the lemon pies with cracker crusts (Saltines, Ritz, or Captain's Wafers) he grew up eating at seafood restaurants along the coast, then R&Ded his own, switching out the meringue top for whipped cream and salt. Smith's version was a hit. "That pie has taken on a life of its own," he wrote to me. "The next spring the piece ran on All Things Considered. Then things went crazy," Smith said. "Atlanta Food and Wine moved us from the pork tent to the pie tent as a result. They had a kitchen for us to use but no storage, so we took them down to our hotel room and turned the AC down to 60 so they would set up." 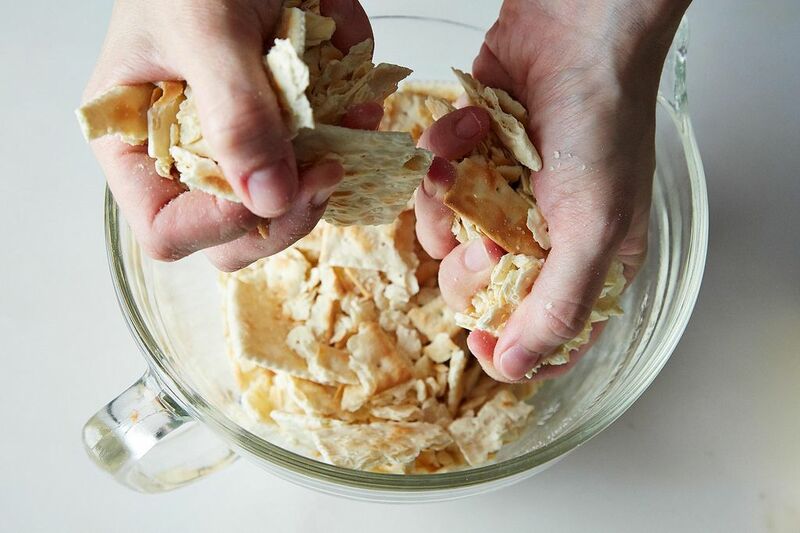 We might be in the season of perfecting our lattices and pitting sour cherries by the quart (and of poodle-like meringues), but it might be an even better time to pull out a couple sleeves of saltines. I made this for a charity event (sold at the Pie Table) and it was a yuuuuge hit. Sold out. It's the balance of savory and sweet that make this so good. I added a touch of lemon zest to the filling, but otherwise, followed the recipe exactly. DELICIOUS. Made this pie twice last year - once to try it for the first time, second because I thought I somehow screwed up such a simple recipe. Not impressed with it myself, but I see how some would enjoy it. I’ll stick to my own versions of key lime and lemon meringue pie. I made this tonight for family dinner. (The lemon version). It was a huge hit! Absolutely delicious, right down to the sea salt sprinkle. It's looking like it might make the rotation for my restaurant. Thanks Food52 for another winner. 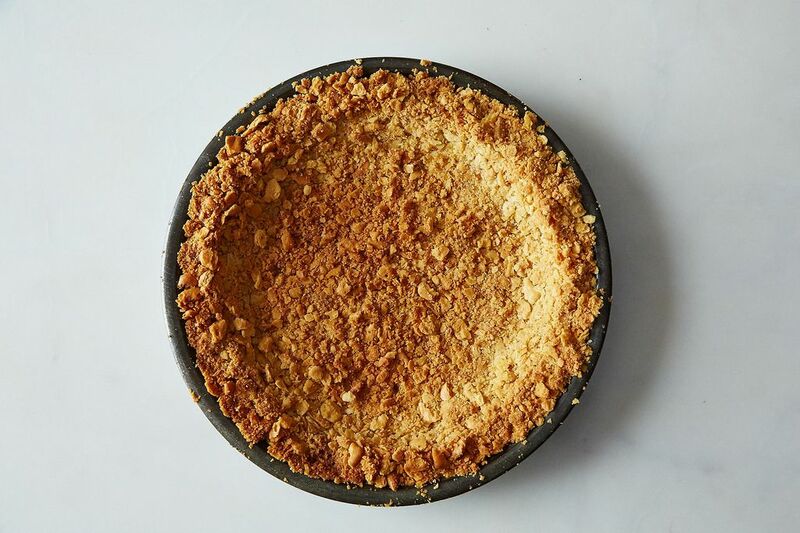 Except for the crust, it's exactly the same as a key lime pie. We love Keebler's shortbread readymade crust but I can't find it anymore, they must have stopped making it. Pity, it was vastly preferable to graham cracker crust. I guess I could crush shortbread cookies with butter. I finally got around to making this pie that I've been reading about for 2 years! I know, I know, I'm a little bit late to the dance. I am pre diabetic and need to watch carbs so I asked about a sugar free alternative to the sweetened condensed milk and Renee (RJ Flamingo) kindly posted a recipe for sugar free condensed milk. I used that and the pie came out very good. I could taste the difference but not in a bad way, just different. I didn't eat all of the crust but just a sample and was pleased with it. It might be a bit too salty for some but I liked it. I would, however, sweeten the whipped cream just a tad. It was a little too bland, maybe a little lime zest in the cream would have helped. I'm glad to have this recipe in my collection and can enjoy it without too much guilt. Me, too, Lin, about the pre-diabetic. I scrolled down for the sugar free condensed milk - and thank you, Renee, for that recipe! Isn't that filling just like the standard Key lime filling? Made this on Sunday and it was an instant hit! The family loved it. We tweaked the crust and used Nila Waffers. Yummy! A new staple at family dinners. I've generally used Ritz Crackers instead of the saltines. They just work better, and taste better; at least within my group. Worth a try, as they tend to set up a bit better. Either way, this pie is a home run! I made this a few weeks ago - major fail on the crust! I've made exceptional Key Lime & Lemon Icebox pies for years, always using a graham cracker crust. I used Saltines as instructed, followed directions, and it was terrible. Too bad, as I love this guy's Shrimp & Grits. Could this somehow be made into bars? Everyone at my table was happy with this one. Used lime juice and added 2 extra T. Butter to the crust based on previous comments - it held together beautifully. The sea salt is is a must - make it and enjoy! Sounds like a spinoff of Key Lime Pie. Being a FL girl, I think I prefer the Key Lime Pie with the graham cracker crust myself. Tuc would work fine, probably the plain are best. =] Ritz are also fine. Has anyone tried any European equivalents to Saltines? Tuc? Ritz? There is an unflavored cracker called "water crackers" that would probably work. They are round and lightly salted. I also think crushed graham crackers are an excellent substitute . Has anyone attempted this using UNSALTED Saltines? 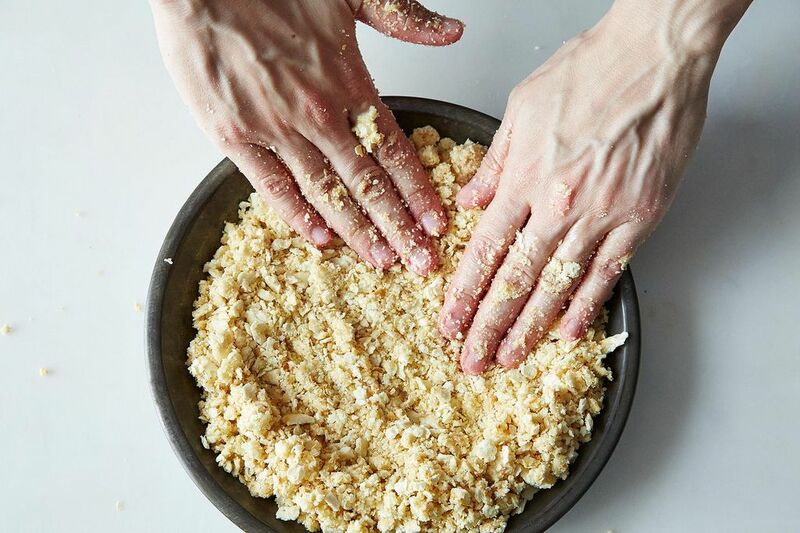 I've got a few saltless sleeves of them from making the (Food52) Maple Walnut Cream Pie and would love to put them to good use. How much kosher salt should I use if using my sad, bland Saltines; maybe 1/2 tsp.? Many thanks. I would use less, a few sprinkles of sea salt should work. I made this for my boyfriend’s family a couple months ago and we LOVED it! The only problem was that everyone wanted to go for seconds, but couldn't! So I’m going to bring this to his mom’s house this weekend for her birthday and I wanted feedback — do you think one could stretch the recipe out into a rectangular baking dish? That way we can all have two (or more!) “bar” slices. Maybe I should try a 1.5 recipe? Emily,I 've doubled this recipe and it fills a 9x13 Pyrex perfectly and solves the second helping problem. It really does disappear ,especially if you freeze it...I prefer it frozen !!! I had no idea Bill Smith was a real person until he was featured in the recent Garden and Gun issue. He is an unsung hero in North Carolina working at Crook's Corner making great food even better. 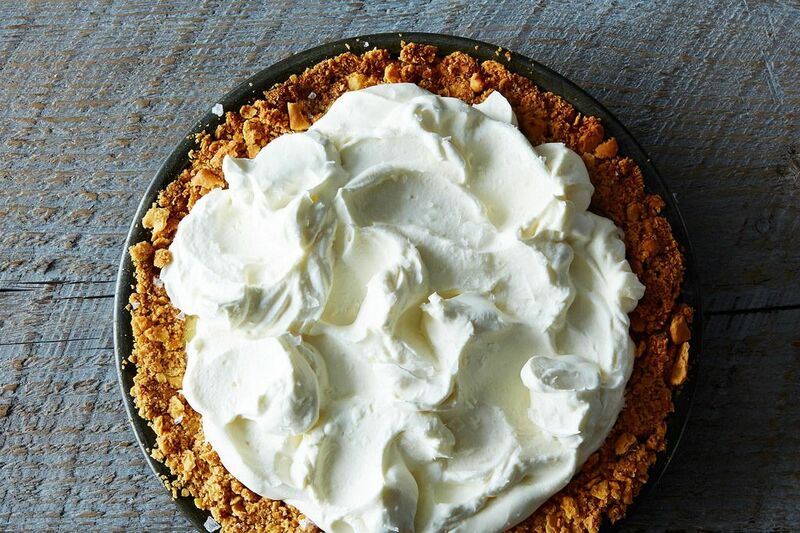 I have made this pie since Food 52 first printed it.Believe it or not, it freezes,with whipped cream , very well. The only secret is wrapping it in good freezer plastic and only partially thawing. It cuts into cleaner slices semi-frozen. I have also made a double pie in a large rectangular baking dish ,frozen it too, and used it for large family events where a 8-9 inch pie was too small. This is a good recipe for all seasons. Oh my, I just posted a question that you had already answered! Thank you!